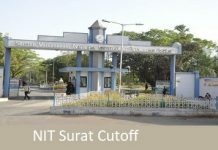 NIT Goa Cutoff 2018: The National Institute of Technology Goa (NIT Goa) was established in the year 2010 by an Act of Parliament 2007. It is running by the Government of India under the Ministry of Human Resource Development(MHRD). NIT Goa is declared as ‘Institute of National Importance. The campus is located at Farmagudi, Ponda and it is a temporary campus. There are around 150 seats available for aspirants to take admission in the institute. National Institute of Technology Goa offers various Under Graduate and Post Graduate courses. There are a number of B.Tech programmes in which candidates are admitted. These programmes include the following: Computer Science and Engineering, Electronics and Communication Engineering, Electrical and Electronics Engineering, Civil Engineering and Mechanical Engineering. The Institute also offers Ph.D in all the above-mentioned B.Tech programmes. 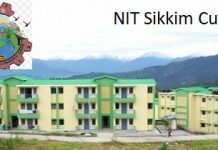 NIT Goa offers 30 seats under each of these B.Tech programmes for admission. Candidates are granted admission in B.Tech course through ranks secured in JEE Main examination and also through Direct Admission to Students Abroad (DASA). The institute offer admission in M.Tech programmes through valid GATE score followed Centralized Counselling. For each M.Tech programme, there are 20 seats available. The concerned authorities have released the NIT Goa Cutoff 2018 on the official website. Candidates who met this Cutoff were shortlisted for admission under the desired disciplines. 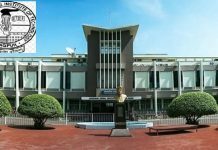 The authority advises applicants to go through the Cutoff of last years to have an idea regarding the NIT Goa Cutoff 2019. The previous year Cutoff for different categories is encapsulated in the tables below for 4-year B.Tech course. Each table contains the opening and closing ranks for admission.